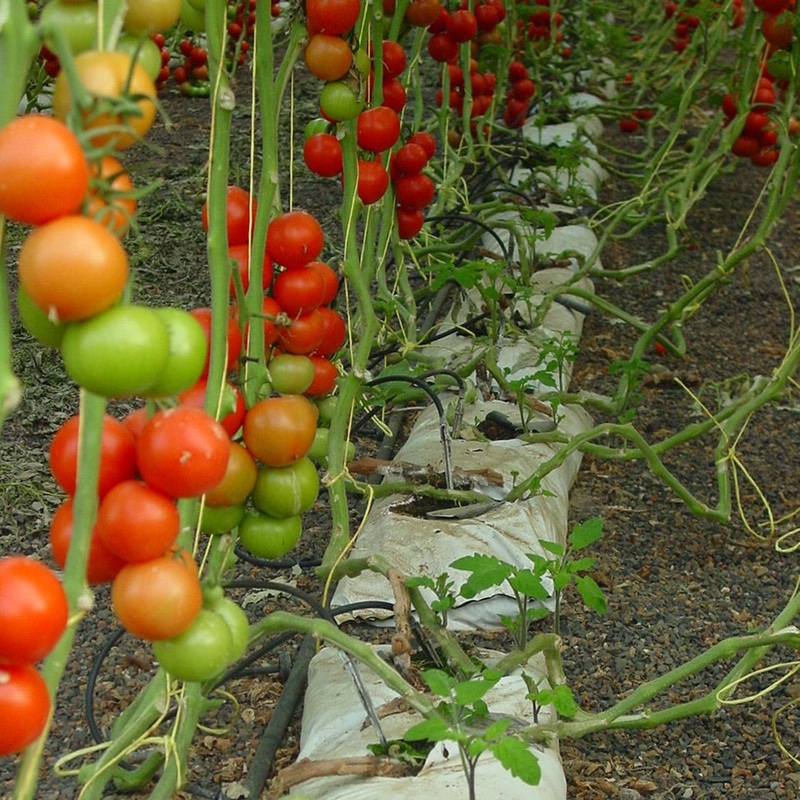 An Azerbaijani northern city is going to grow crops without soil. A modern greenhouse complex is under construction in Shaki for this purpose, and will provide 40 people with steady jobs. The construction of the complex started in May. Rail structures are currently installed at the facility, and the greenhouse will be covered with a plastic wrap afterwards and planting will begin. The complex is going to grow different varieties of tomatoes. All equipment used in the construction was brought from Turkey. The construction is expected come to an end in two months. The area of ​​the greenhouse complex is two hectares, and the crop will grow there without soil. Tomatoes will be grown on the mineral coco peat, which will be delivered from Sri Lanka, and the environmentally friendly crop will be sold on the local market and abroad. If the facility proves its value, it will be expanded in the future. Coco peat, also known as coco coir, is a natural fiber extracted from the husk of a coconut. Coco coir has a wide range of uses around the globe, from substrate for plants to the crafting of door mats, mattresses, and ropes. Coco peat is devoid of nutrients, bacteria, and fungal spores and is cheaper compared to sphagnum peat. The husk used in coco peat is recycled, making it eco-friendly. The organic coco peat speeds up the growth of seeds and plants and helps develop the root system.